These days, the standard equipment deal looks something like this: "Equipment company X" offers "Player Y" a contract with guaranteed money that contractually obligates them to play product for an agreed-upon length of time. Maybe the two sides even add a hat and bag deal to round things out. These deals happen every year in professional golf — be it on the PGA Tour, European circuit or elsewhere. At first glance, Abraham Ancer's recently announced deal with Miura Golf looks like the above example. Ancer became Miura's first PGA Tour "ambassador" on Thursday, agreeing to terms that will see him sport the company's logo on his hat and offer feedback on custom-designed forged irons. But the Miura-Ancer deal is anything but conventional. 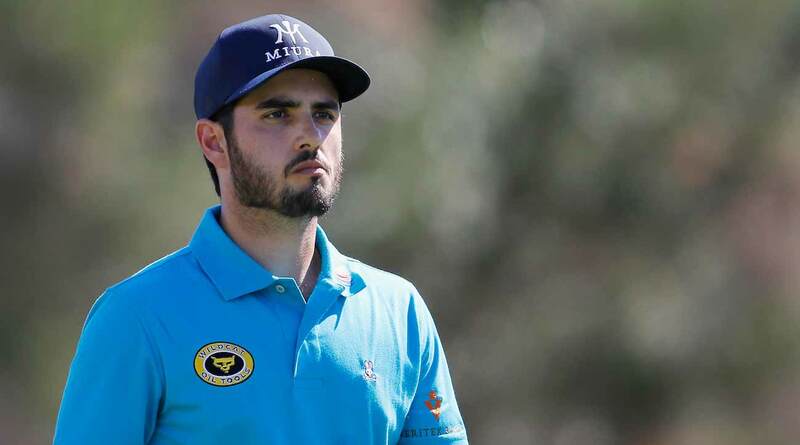 Abraham Ancer's new deal with Miura goes well beyond the endorsement check. Before Miura was ever in the picture, Ancer was a member of Nike Golf's equipment staff — until the Swoosh ceased production in the hard-goods space in 2016. Without a club and ball deal in place, the 27-year-old did what any pro golfer without a gear agreement would do: He tested clubs. 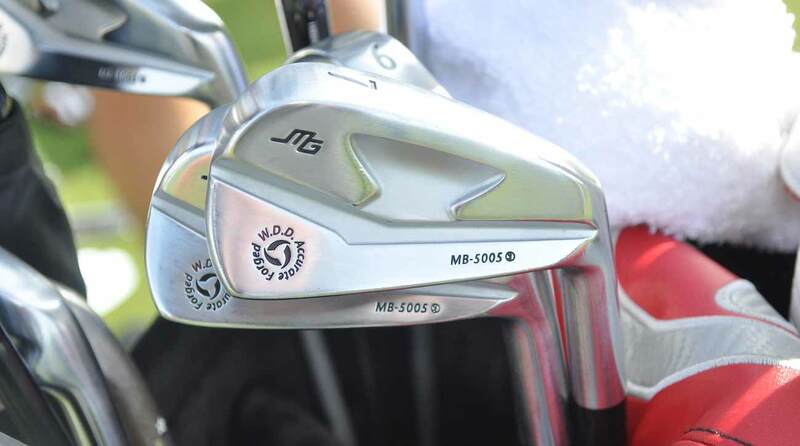 Ancer looked at all the usual suspects before settling on a set of Japan-only Miura Giken MB-5005 irons. “I switched to Miura irons before any partnership; I just wanted to play the best forged irons available,” he said. When the apparel portion of his Nike deal expired at the end of last year, Ancer began to consider his options. One of the first places he asked his agent to contact was Miura to see if the possibility existed for a deal to be reached. "He loved the Miura logo and what the brand was about," said Lawrence Place, Miura's chief financial officer. The only problem was Miura wasn't in the position to have a broader relationship with tour professionals. At that point, the iron manufacturer only provided product to players on tour, but the deals never expanded beyond those requests. Abraham Ancer's Japan-only Miura Giken MB-5005 irons. "Miura is kind of known for not sponsoring athletes," said Place. "[With Abraham] we didn't want this to be a deal where we're just sponsoring a guy because he's a rising star in golf. So we started to think about different ways Miura could expand with his international reach in Mexico." The two sides started to get creative with the deal when Genaro Davila, who fit Ancer for Miura clubs two years ago and owns San Antonio-based Dead Solid Perfect Golf fitting studio, made a case for taking Miura operations into Mexico in an effort to make inroads in a country that's remained completely untouched by the brand. "We have sales in Canada and the U.S., but I think we've only had one dealer who bought clubs from Mexico in the past," said Place. With entrepreneur Gerardo Benavides — who sponsored Ancer early on in his career — putting up the capital to get Dead Solid Perfect Golf Mexico off the ground, Davila and Ancer joined in to complete the group. Along with representing Miura on tour, Ancer is a full partner in Miura's Mexico distribution rights. "It was important to make sure [Abraham] has skin in the game," Place said. "The relationship allows him to hopefully grow the brand in Mexico and, in return, we can expand our PGA Tour ambassador partnership and endorse him that way." In other words, Ancer's continued success on the course has the potential to not just impact his career trajectory but the future success of Miura's operation in the country where he was raised. Ancer will continue to play the MB-5005's for the moment, but the plan down the road is to get him to more involved in the iron creation process and design a custom bag of clubs suited for his game. "He's really a partner," Place said. "We aren't just writing a check and that's that. This is something where the better he plays, the more value he gets out of the Miura partnership, and the more value Miura gets. It's one of those rare deals where we have three parties here — Miura Golf, Abraham Ancer, and another group who introduced Abraham to Miura. We figured out a way to intertwine all three parties so they can win. It's rare that you have a deal that multiple groups all come out on the winning side." Miura and GOLF.com are operated by the same holding company, 8AM Golf.